21st July is certainly going to be a great day out. Roberto Fonseca will be performing at The Tower of London on the Americas Stage, and the line up for that event also includes Wynton Marsalis, Naturally 7, Scissor Sisters and Caribbean Soul. For this unique show Roberto will travel south to the Rio Plata, to exploring contemporary candomblé, Argentinean and Uruguayan music. A unique opportunity at a unique event that will bring together the best of the five continents. 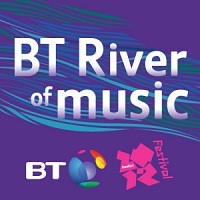 You can find more information about the event on the official website of the BT River of Music.